Sumie Kaneko is a creative performer. She is not only a Jazz singer but also a Japanese traditional musician. She plays two kinds of Japanese instruments, such as Koto and Shamisen. 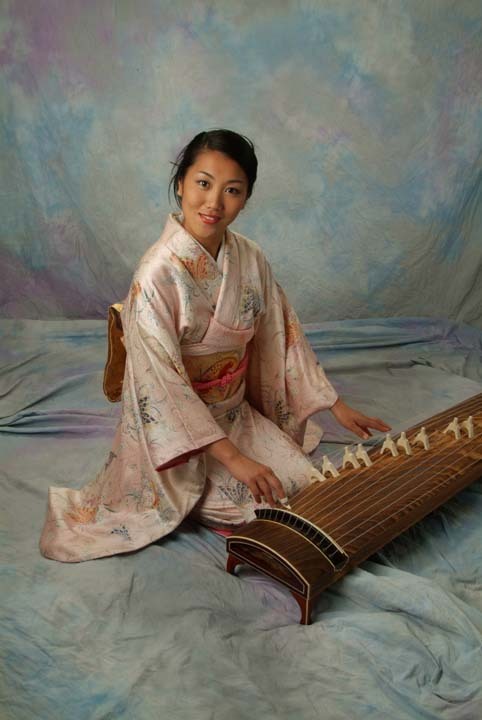 Sumie started playing Koto when she was five years old, Shamisen when she was fifteen. In the meantime, Sumie started listening to Jazz and singing pops. In 1995, Sumie won in Takasaki International High School Competition in Koto performance. At Tokyo National University of Fine Arts and Music, where Sumie graduated in 2000, she was trained as a traditional performer and received Joei award(given to exceptionally talented students) in 1999. Meanwhile, Sumie was looking for another possibility of expression, and decided to study Jazz vocal performance. She entered Berklee College of Music, Boston, MA in 2002. At Berklee, Sumie was focusing on assimilating of Jazz and Japanese traditional music and finding another approach to tradition. Sumie played with many of the most dominant forces in the music world of today, such as Jamey Haddad, David Fiuczynski, Alain Mallet, Joe Lovano. As one of major success, Sumie directed music on two productions of a winner of Pulitzer Prize, Paula Vogel's "The Long Christmas Ride Home" (World Premier)by Trinity Repertory Company, Providence, RI in 2003-2004. Sumie graduated Berklee in 2006. Now, Sumie performances all over New England. She also directed Japanese music at Kaji Aso Studio, Boston, MA. Sumie represents two groups "Spin" and "J-trad and More".